Summer is Travel. How easy it is to equate one of the best seasons of the year with traveling. Well, there could not be any time of the year when it is best to explore the outdoor without anything to worry about the weather, the school life or even the kids. Everyone is on a leisure break mode and excited to be reunited once again with Mother Sun. But above all, this season offers you countless of exciting and awesome activities to experience. As early as first quarter of every year, everyone is busy jotting down their “Where-to-go” and “What-to-do” list. One of the best things to experience is to be soaked in sun’s warm hugs and kisses through a road trip adventure. To get you going and to satisfy the wanderlust in you, here is a guide to the Top Road Trip Destinations in Luzon. What to Expect: With its cool weather and accessible distant from the metro, Tagaytay is the best place for those who want to dodge the Manila heat, feel relaxed or simply wants to munch to their tummy’s satisfaction. 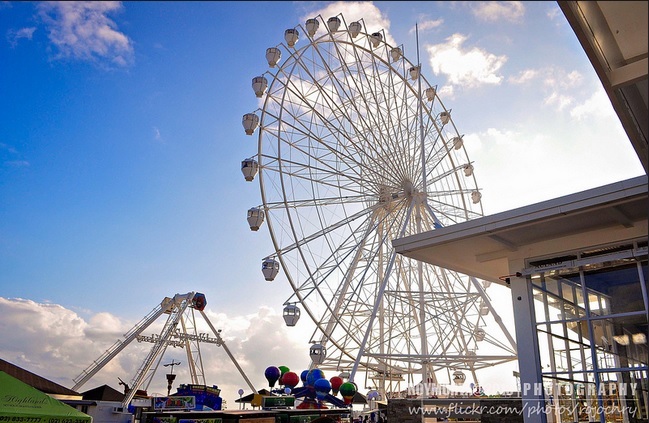 Aside from that, there is Tagaytay Sky Ranch for those who want to brave heights and seek thrills. It’s an amusement park where you can experience horseback riding, adrenaline-fueled rides like Ferris Wheel and Nessi Coaster. How to Get There: From Manila, drive through South Luzon Expressway and exit at Santa Rosa then take the Santa Rosa-Tagaytay Road. Other option includes driving through Coastal Road Expressway then Aguinaldo Highway going to Tagaytay. What to Expect: Dubbed as the Summer Capital of the Philippines and the City of Pines, Baguio offers refreshing places to visit and activities to try. Experience rowing a boat, biking, skating, or simply enjoy watching a football game, an outdoor concert, and feel relax while chitchatting and food tripping with your family and friends at Burnham Park. It’s just located at the center of the city, surrounded by a man-made lake. 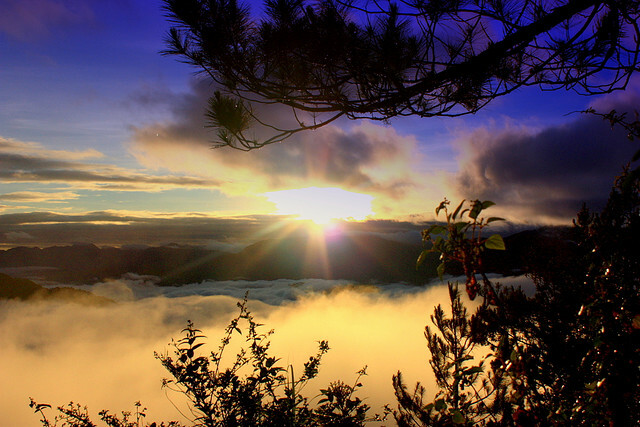 Feel invigorated with a visit to Mines View Park, considered as the most visited park in Baguio. 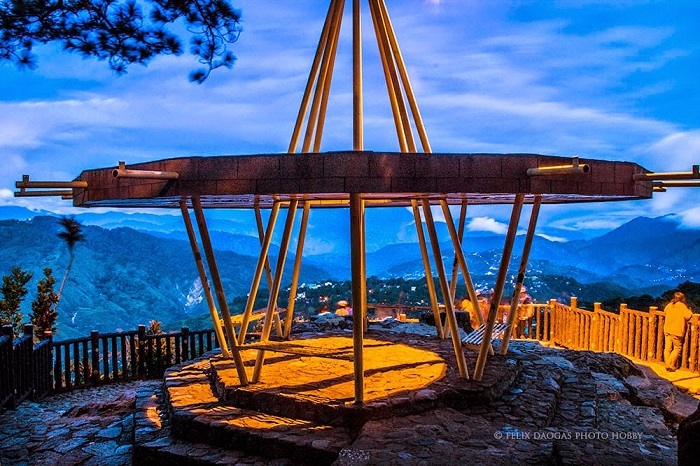 It has an observatory deck that will give you an awe-inspiring view of Benguet. Delight yourself with pine trees at the “Pool of Pines” located at Wright Park where you can also get a chance to ride a pony. Get culture-acquainted with the Igorots through a visit to the Botanical Garden known also as the Igorot Village. Take a selfie at the famous site The Mansion and Camp John Hay. Go strawberry picking at La Trinidad Valley with your own bare hand. Go up and down the pathway of Session Road. Pass by the scenic view of Kennon Road where you can glimpse the Colorado Falls, Twin Peaks, and Bridal Veil Falls, among others. Go shopping for Ukay-ukay clothes, second-hand designer apparel, while visiting the downtown proper. Baguio is considered as a great place to buy Ukay-ukay products. And don’t forget to bring home a jar of Baguio’s all-time favorite Ube Jam from Good Shepherd. How to Get There: If you want to commute from Manila to Baguio, you can choose from Victory Bus Liner or Genesis Bus Liner that offers a 24-hour transportation service. Victory Bus Liner is situated in Pasay, Cubao, and Monumento Terminal while Genesis Bus Liner is found in Cubao and Avenida. But if you have a private vehicle, you can drive through NLEX from Manila and exit at Exit 85 to get to SCTEX. Drive through SCTEX until Tarlac City Exit then pass through MacArthur Highway until you reach Rosario Junction to Kennon Road or you may go a little farther to Marcos Highway. Upon reaching, drive all the way to Baguio. What to Expect: Sitio Pungayan is a sleeping barangay in Tuba Benguet which is now better known as Sitio La Presa and is getting phenomenal popularity after it became a shooting location of the hit romantic TV series “Forevermore”. You may opt to visit souvenir shops and cafeterias scattered in the area to try local products or take a selfie photo with La Presa signage to get into the “Forevermore” bandwagon or interact with the locals and tourists to feel the love effect you sometimes get when watching the series. But when you are into adventure, try hiking at Mts. Cabuyao and Sto. Tomas. How to Get there: Traverse the road from Manila to Baguio. Upon reaching, the most convenient way to reach Sitio La Presa is by hiring a cab that cost Php 1,000 pesos for a round trip. 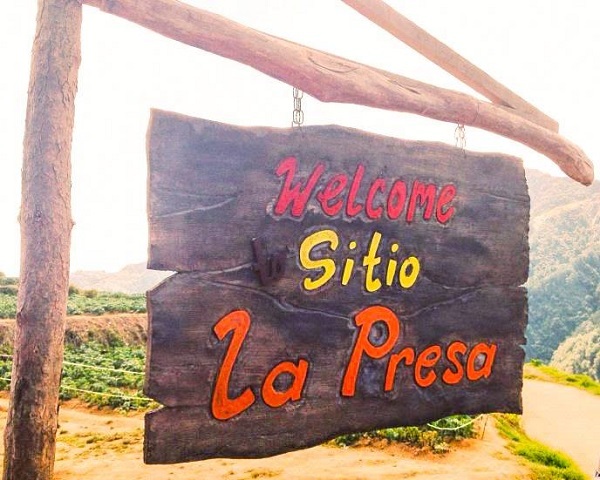 Places to Stay: Sitio Pungayan or La Presa is just minutes away from Baguio, you may choose to stay at any places in the City so you can also have a tour of the City of Pines while visiting La Presa. 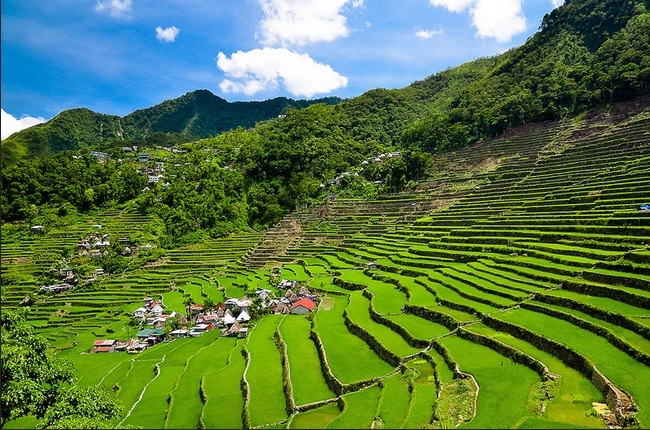 What to Expect: Being listed as part of the UNESCO World Heritage Site List, Bangaan and Batad in Banaue, two of the many clusters of terraces in the province of Ifugao, are really worth the journey. You may opt to do sightseeing and walking in the rice fields of this 2000-year old man-made structure. It was carved on Earth by the tribes of Ifugao using their bare hands. Its grandeur beauty is just a spectacular sight to behold and will give you no doubt of why it has been named as one of the “Eight Wonder of the World”. It has transcending terraces which resemble a staircase towards the sky. Upon trekking Batad Rice Terraces, you will find on your journey the grand waterfall known as Tappiya Water Fall. You can rest in a bit in this area or have yourself clean up with its cold refreshing water. Other attractions in Banaue includes Guihob Natural Pool where you can dip yourself and enjoy swimming in its cool and crystal-clear water, Banaue Museum and Tam-An Village where you can learn and experience the life of the Ifugao people, Poitan Village where you can learn about wood carving and weaving from the locals. How to Get there: Take Ohayami bus line from Manila, the only bus line that caters passenger off to Banaue then hire a jeepney to Batad Saddle Point. Upon reaching, you need to walk going to Batad. What to Expect: Sagada is the home of the famous hanging coffins found in the Echo Valley. But aside from that, Sagada offers great activities that let you acquaint with nature like trekking, cave hopping, spelunking, hiking, among others. But after it was featured in a hit movie “That Thing Called Tadhana”, a whole new activity can take in this fascinating paradise. If you want to let the bubbles of your emotions burst out without caring for anyone to hear or judge you, just hike your way to the top, be one with the clouds and let your emotions just flow. 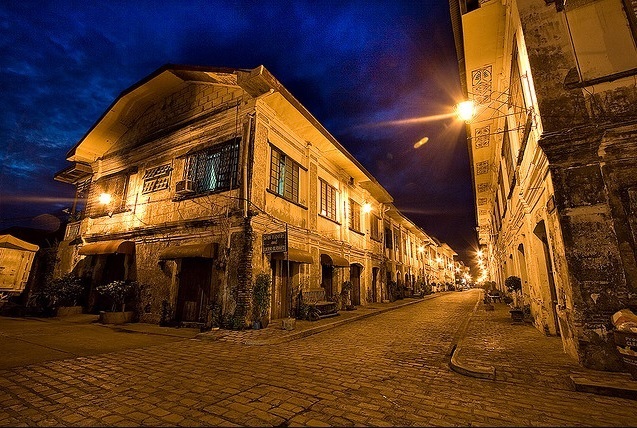 What to Expect: With its preserved structures of the Hispanic period in the Philippines, Vigan City will truly enable you to reminisce a glorious Philippine past. You can take a Kalesa, a horse-driven cart that is one of the modes of transportation in the 18th century in the Philippines, to let you tour around this UNESCO World Heritage Site or admire this beautiful city by taking the Vigan Heritage River Cruise. Few of the things you will find while touring are cobblestone streets, the ancient structures which include old houses and buildings with Philippine and Oriental designs, century-old St. Paul Metropolitan Cathedral, various Museums, and another UNESCO World Heritage Site Church of Nuestra Senora de la Asuncion. How to Get There: By commuting, you make choose from several bus liners which include Partas, Dominion Bus, Aniceto Bus and Viron Transit that transports tourist from Manila to Vigan. Using private vehicle, you can drive through NLEX passing through provinces of Bulacan, Pampanga, Tarlac, Pangasinan and La Union, until you reach Vigan City. Places to Eat: Irene’s Vigan Empanada, Cafe Leona, Cafe Uno, Grandpa’s Inn, Lilong and Lilang Restaurant, Hidden Garden, Coffee Break Vigan, and St Martha’s Cafe. What to Expect: Laoag City in Ilocos Norte offers exciting adventures to travelers. It lets one explore historical sites which highlights Spanish influence in the city. 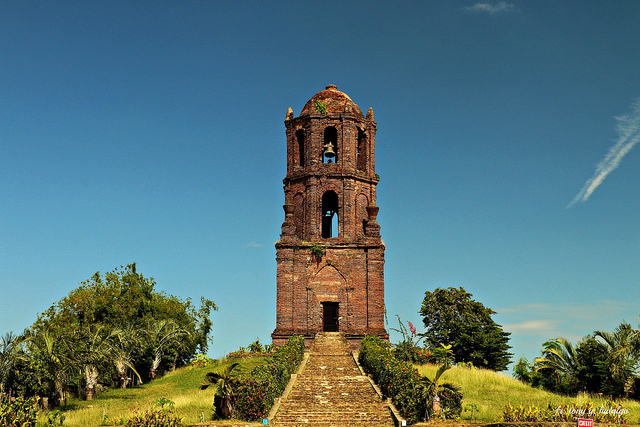 These include Sinking Belltower, St. William’s Cathedral, San Nicolas de Tolentino Church, St. Andrew Church with its old belfry, UNESCO World Heritage Site Church of St. Augustine, known to many as Paoay Church. Visit also the Malacanang of the North or Malacanang Ti Amianan. Satisfy your tummy with famous Ilocos delicacies like Ilocano Empanada, Longanisa, and Bagnet. However, a visit to Ilocos Norte will not be truly complete if you cannot experience the summer heat. Have your way to La Paz Sand Dune and Suba Sand Dune and enjoy mounting sand hills. How to Get There: Bus line that has daily service from Manila to Laoag City include Florida Bus Line, Partas, Baliwag and Farinas Bus Lines. Using private vehicle, you can drive through NLEX passing through provinces of Bulacan, Pampanga, Tarlac, Pangasinan and La Union, until you reach Laoag City. Places to Stay: Gertes Resort, Hotel Tiffany, Ilocos Rosewell Hotel, Playa Tropical Hotel Ilocos and Plaza Del Norte Hotel & Convention Center. Places to Eat: Cailian Grill, Cristine’s Miki, Dap-Ayan, Dawang’s, San Nicolas, La Preciosa, Macy’s Diner, Saramsam. 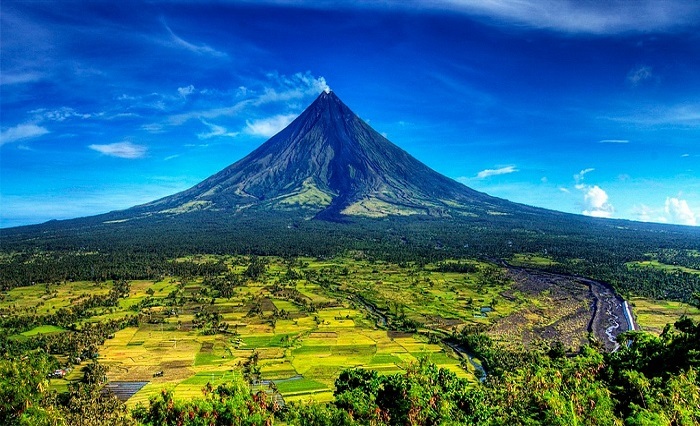 What to Expect: Legazpi City in Albay is one best place to take an adventure on the road. It serves as one of the gateways from the capital of the Philippines to Bicol Province. With the world famous perfect cone, scenic view and mesmerizing beauty of Mayon Volcano, you can have a picture-perfect backdrop for your next selfie. Visit also the Cagsawa Ruins that serves as a reminder of the catastrophic past of the City from Mayon. Take a walk and feel relax at Misibis Bay, have a great view of the City from Lignon Hill, stare at the relaxing beauty of Albay Gulf from Kapuntukan Hill or see Mayon from nearby by visiting the Mayon Resthouse Observatory. Other attractions include The Albay Park and Wildlife, The Japanese Tunnel, The Embarcadero, The Legazpi City Museum, Liberty Bell and Rizal Park. While touring, do not forget to taste Bicol Express, laing, pinangat and other tongue-burning and mouth-watering products of the city. How to Get There: When commuting, you can choose from DLTB, Cagsawa Tours, Superlines, Phitranco, Amihan, Isarog, St. Jude and Goldline Tours Bus Lines that can take you directly to Legazpi City. When driving the car from Metro Manila, take the South Super Highway off to South Road and drive through Legazpi City. What to Expect: Daet in Camarines Norte is the home to some of the historical landmarks and old structures in the country. The first monument in honor of the National Hero of the Philippines, Jose Rizal, was built in this town. Other structures that are found in the town proper that will surely give a glimpse of the past are Daet Provincial Capitol, Old Daet Municipal Building, Daet Elevated Town Plaza, and the Pineapple Fountain. Apart from that, the long grayish and powdery beach of Bagasbas is a great venture place for those who are into surfing, beach bumming and kiteboarding. 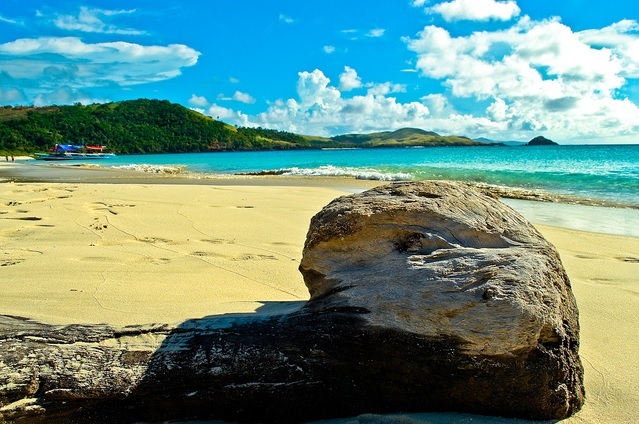 Another island in Camarines Norte that is gaining popularity worldwide is the Calaguas Group of Islands. You can enjoy swimming in its crystal-clear water, island hopping to ponder the islands’ magnificent beauty, and since it is an unspoiled spot, you can relax and enjoy camping with your friends and families. What to Expect: Baler in Aurora is found in the east coast part of Luzon facing the Pacific Ocean. Being situated in a strategic location for big waves in Luzon, Baler is really a great place for those who are into surfing. With its accessible distant and location in Metro Manila, it has been an option for surfers who cannot go to Siargao in Surigao to experience big waves. As a proof to Baler being one of the best surfing spots, Hollywood film “Apocalypse Now” shoot their surfing scenes in the coast of the town. Apart from that, you can also try snorkeling, scuba diving, paragliding, paddle boarding, and kayaking. You can also have a moment to commune with nature as it is being surrounded by the Sierra Madre. Baler is also home to some of the country’s well-known sites. Among others, these include Baler Church, Museo de Baler, and the famous century-old Balete Tree. How to Get There: By commuting, you can go directly to Baler from Manila by Genesis Transport Service. It is the only bus line that serves passengers off to Baler. By car, drive through NLEX and exit at SCTEX. Enter at La Paz, Tarlac toll gate and drive through until you reach Cabanatuan City in Nueva Ecija. From here, pass through the Nueva Ecija-Aurora highway until the border of Nueva Ecija and Aurora, then drive all the way to Baler. What to Expect: Subic Bay is located on the west coast of Luzon in Zambales. This place used to be a site of US Subic Naval Base. It offers a wide range of attractions and activities. 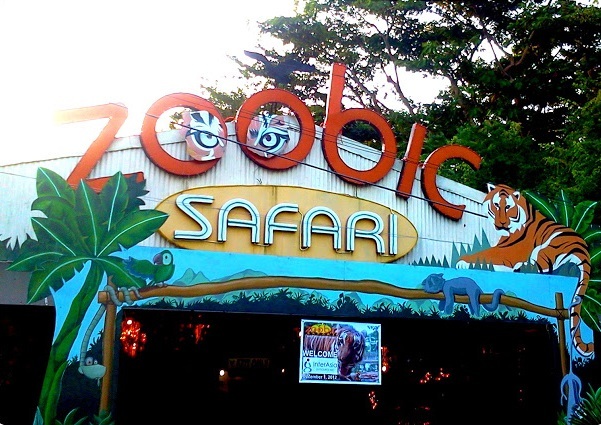 If you want to be acquainted with the wildlife of the forest, visit the Zoobic Safari where you can have a Safari Jeepney ride to experience the wide range of savanna and its inhabitants. Enjoy also the marine wildlife through a visit to Ocean Adventure. They have shows that feature sea lions and whales. Other attractions you must visit are Subic Treetop Adventure where can try canopy walking and trekking and JEST Camp where you can learn skills on venturing with nature and camping. The bay enables you also to experience yachting, sailing, kayaking, canoeing, jet skiing and scuba diving. How to Get There: When you choose to commute, you may opt to ride Saulog Transit and Victory Liner from Manila to Olongapo City Terminal. From there, ride a jeepney to Subic Bay Freeport. Using a car, from Manila, drive through NLEX and exit at San Fernando then drive all the way to Subic Bay Freeport Expressway. Places to Stay: Mangrove Resort Hotel, Subic Bay Yacht Club, White Rock Waterpark and Beach Hotel. Places to Eat: Texas Joe’s House of Ribs, Cocolime, Xtremely Xpresso Cafe, Rali’s Grill and Bar, Rama Mahal Bar & Restaurant. What to Expect: Being relatively close to the bustling cities of Metro Manila, Anawangin and Capones Island has been frequent by some tourists who want to escape the Metro. With its pristine beauty, one can truly commune with nature, get distressed and ponder thoughts. 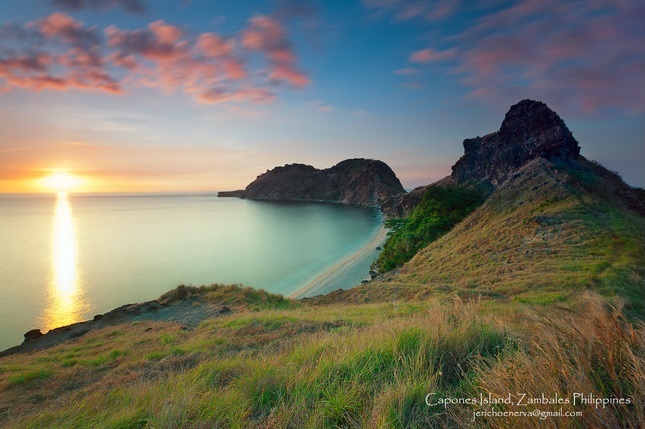 Beach camping, swimming, and trekking are some activities that you must try while in the area. After discovering Anawangin, take a 30-minute boat ride to Capones Island. Visit the Island’s lighthouse tower and have a great view of the area. 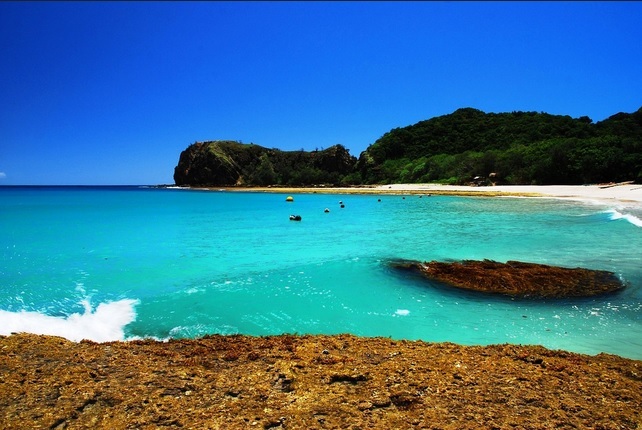 Then enjoy swimming and snorkeling in the crystal-clear water of the island. How to Get There: You may take a bus liners going to Zambales. Upon reaching, take a tricycle to Pandaquit Beach then have a boat ride to Anawangin Cove. Using a private car, take the NLEX from Manila then pass through the MacArthur Highway until you reach Iba, Zambales. Places to Stay: When on the island, you have to experience camping, therefore, bring your tent with you when traveling. What to Expect: Batangas is one of the provinces that are nearby Metro Manila. 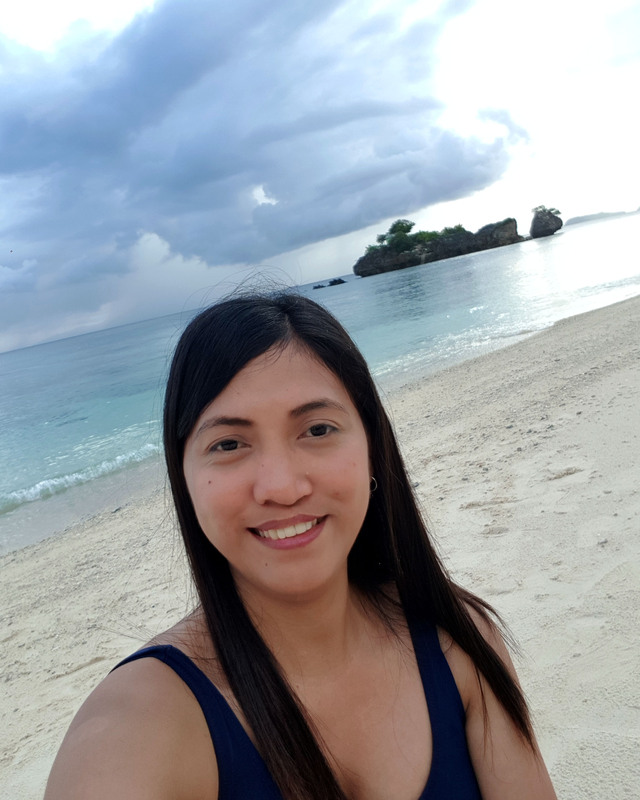 If you want to break away from the chaos of the Metro, enjoyed the beach and longed to connect with nature, you don’t have to look so far to have that experience. Batangas offers you countless of beaches to visit. Among others, you can visit Laiya Aplaya. It’s a long stretch of white sand beach found in San Juan, Batangas. Visit also the diving paradise of Anilao in Mabini, Batangas. It is considered as the birthplace of scuba diving in the Philippines. 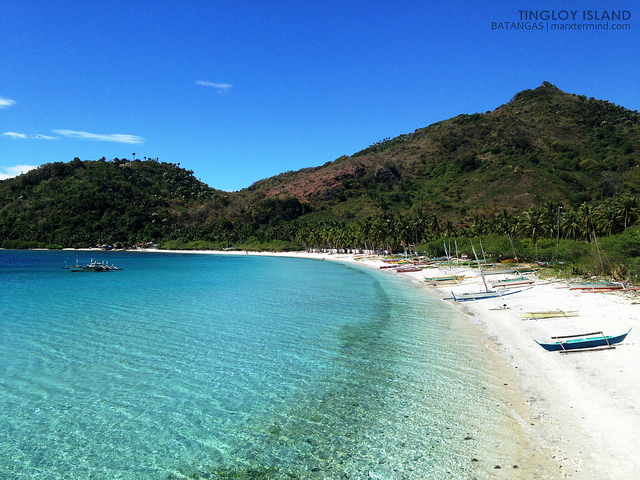 However, if you are into unspoiled beaches and relaxing venue, visit Masasa Beach in Tingloy, Batangas. With its pristine beauty, you can’t help but feel relaxed. Bamboo Beach and Tali Beach in Nasugbu-Lian, Batangas also offers a very refreshing experience. How to Get There: Going to the bus on public transportation is very easy. There are a lot of bus lines that caters passenger to Batangas. When in a private car, take the SLEX road as this will take you directly to the provinces of Southern Tagalog Region including Batangas. What to Expect: Pampanga being known as the culinary center of the Philippines has a lot of mouth-watering food to offer to every traveler. Order a cup of coffee at Caffe Bene, a coffee shop inside SM Pampanga. Purchase a box of pizza at Camalig Restaurant. What makes this pizza stand out from the rest are its unique ingredients. It has salted egg, dried fish, and longanisa as toppings. Try Iguana’s Authentic Mexican Food (formerly known as Zapata’s) with an order of Tacos, Burritos, Enchiladas, and Chili con Carne. Food tripping in Pampanga will not be complete without tasting a very delicious Pampanga’s sisig. 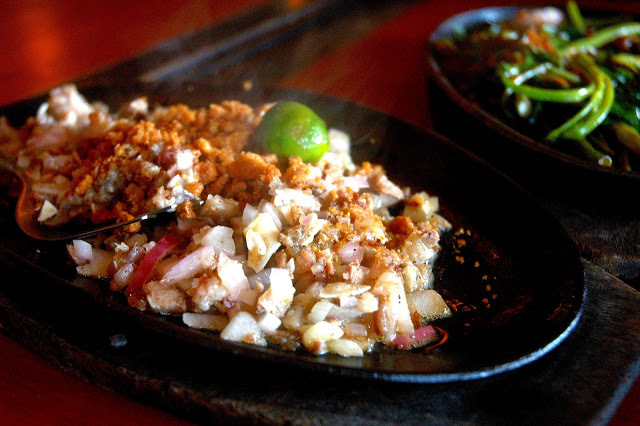 You can satisfy your cravings by visiting Mila’s Sisig or Aling Lucing’s Sisig. When the time comes that you already need a dessert, go to Gill’s Sherbet to taste their flavorful ice cream. How to Get There: When commuting, choose from any major bus lines at Cubao that takes you to Dau, Pampanga. Using a private car, drive through NLEX from Manila then take the Angeles Exit or you can pass through SCTEX then drive all the way to Clark. What to Expect: If you want to experience a sumptuous festive lunch of local Philippines dishes with a very refreshing surrounding, visit the Labasin Waterfall Restaurant in Villa Escudero Plantations and Resort, Laguna. It gives visitors a unique treat by offering Philippine local dishes to enjoy while dining in an open area with man-made waterfall backdrop that flows from the top to the feet of the tourist. While in the resort, try also other activities that it offers. Activities that enables you to celebrate the rich Philippine culture includes visiting the resort’s Museum, watching the Philippine Experience Show and touring the Rural Village. How to Get there: From Manila, traverse the South superhighway and exit at 50A (Lucena, Legaspi, Batangas exit) then turn left at the Sto. Tomas junction. Drive all the way to Quezon. Upon reaching the Quezon arch turn left and drive straight to Villa Escudero Resort. 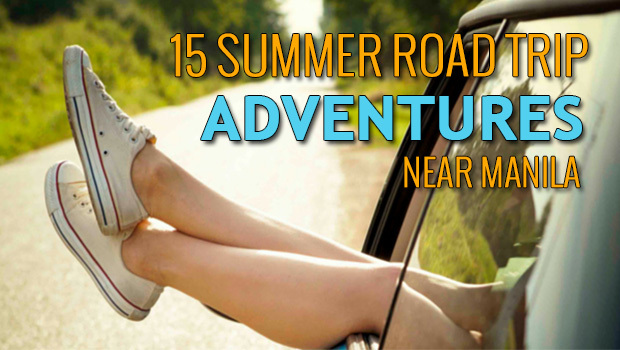 As summer is just around the corner, so where are you heading to experience your ultimate summer road trip adventure? Share with us your experience! Never miss our interesting travel blog posts again! 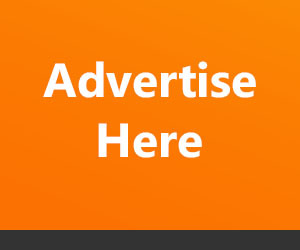 Like us on Facebook and Follow us on Twitter! Enjoyed Reading this Article? Sharing is FUN! This entry was posted in Featured Posts, Road Trips. Bookmark the permalink.